For a country that has a reputation for its ocean-orientated lifestyle, Australia has also become an internationally notorious shark attack hotspot, ranking second in the world behind the USA. With escalating numbers, increasing beachgoers and governments conflicted by the highly publicised ongoing debate between public safety and wildlife conservation, shark attacks are an issue of concern. 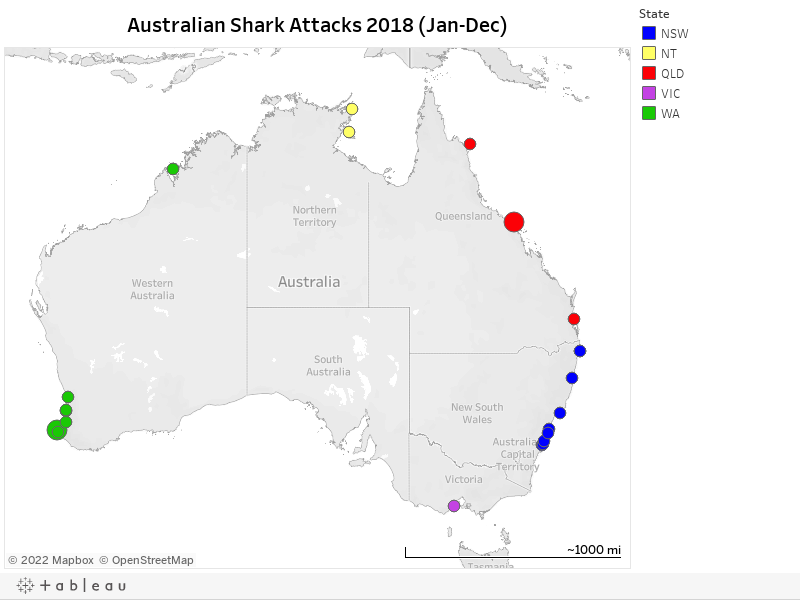 Click through this interactive map of shark attacks in Australia in 2018.